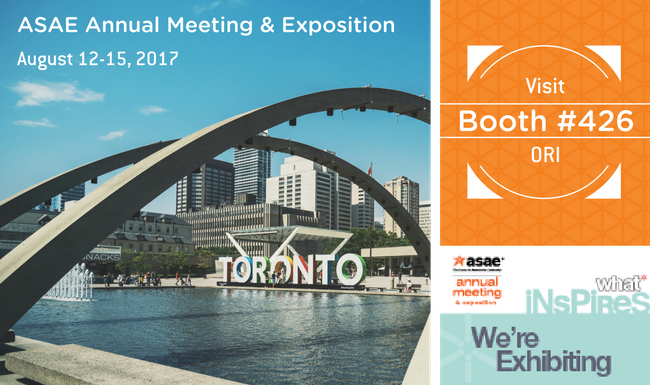 Are you attending the American Society of Association Executives (ASAE) Annual Meeting & Exposition August 12-15 in Toronto? Visit ORI at Booth #426 to chat with our knowledgeable team about data challenges and opportunities to strengthen customer experience and member engagement. Share your top challenges and test your luck in our mystery envelope contest for a chance to win a cash prize! We are passionate about ensuring associations have the data and insights they need to inform decision making and accelerate growth. From collecting and analyzing high-quality data to engaging staff in the importance of data as a critical organizational asset, ORI is your partner in strengthening member engagement.